Would you look at that! We managed to work in another craft for our alphabet book! Two in one week! I love seeing just how much these crafts have helped my oldest as he works to retain what he learns about the alphabet. When we first started, he could tell you the letters of the alphabet and even sing the song, but matching the name of a letter to the actual letter was a different story. As we’ve worked our way through this project, it has gotten easier and easier to see him retain what he is learning and it’s always so much fun to see how excited he gets when he knows a letter by sight. This lowercase letter K kangaroo was no exception! He remembered turning the uppercase version into a king earlier this week and couldn’t wait to work on this one. If you’re following along and making these with us, you’re soon going to realize that this is, by far, one of the easiest that we have made. It took us only a couple of minutes to put together but that gave us plenty of time to read a few stories and see what other words we could find that also started with the letter K.
To start, as always, you’re going to need to cut out all of your pieces. For most of our letters, I simply free hand it. I never force it, but if I can convince the preschooler to practice his scissor skills a bit, I will often draw the letter onto the construction paper so that he has a guide to follow when cutting it out. For the letters that are just harder to free hand (also known as those that I cannot seem to cut out correctly 🙂 ), I just print out a quick template using Word so that I have something to quickly trace. But, back to the pieces 🙂 You’ll need to cut out your lowercase letter K, a head, a tail, and two ears for your kangaroo. 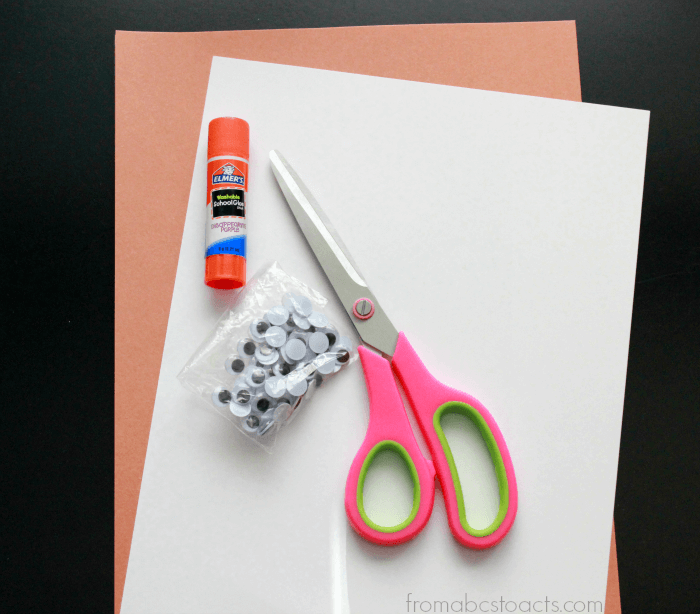 Once your pieces are cut, have your child glue the letter onto your card stock, towards the bottom to make sure there is enough room for the head) and add the tail to the back of the letter. At the very top of your letter, add the head for your kangaroo as well as the ears, gluing them so that they overlap slightly. 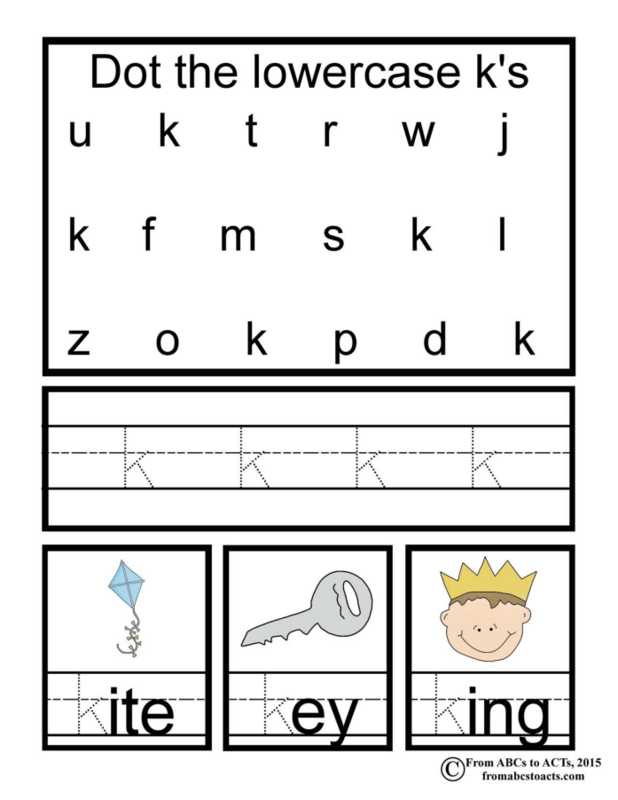 To finish it off, just grab a crayon and some googly eyes to give your kangaroo a face and download the letter K alphabet book printable below to add to your alphabet book!